Hale based crowdfunded property investment company, The House Crowd, has announced it has fundraised more than £4 million from investors over a two year period. 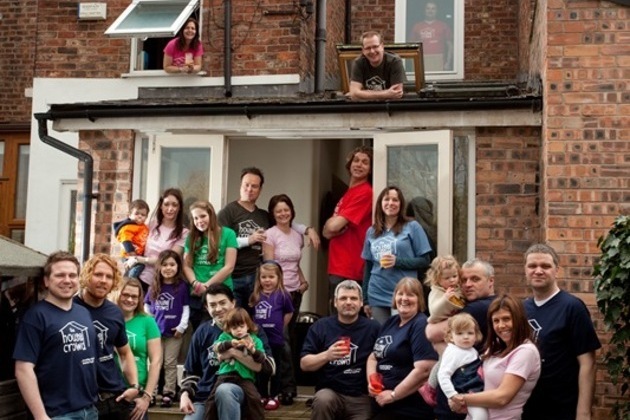 The House Crowd began trading in 2012 and offers people the opportunity to invest as little as £1,000 in the property market via crowdfunding. Since it started trading, the company has bought and refurbished 64 properties in and around the Manchester area, totalling more than £4.1 million of investment. Frazer Fearnhead, managing director of The House Crowd commented; “We’re delighted to have passed this significant milestone after just two years in business. The country’s fascination with property and the attraction of hassle free investment through crowdfunding has proved to be a very popular combination. Earlier this year, the business crowdfunded its own expansion by asking investors for £156,000 to help fund their growth plans. After two days, the company had secured investment of £465,000, more than £309,000 then they originally asked for. The funding has allowed the business to relocate to larger premises in Hale and recruit an additional 4 members of staff. The House Crowd has recently secured its 65th project, a 3 bed property in Openshaw, Manchester which will be refurbished and rented for 3-5 years.